Stay healthy with the walk-in clinic? We say: it works! I was born in Hamburg and have Iranian roots. I am very connected to my second home Iran. Therefore I am fluent in Farsi (Persian). I worked as a midwife for many years and after my studies was able to gain experience in the field of Care Management and Development for refugees. My goal has always been to bring people on the right track. That’s why I feel really privileged to be able to be there for you, the inhabitants of Billstedt, Horn and Mümmelmansberg. We can work out together what is the best way for you to stay healthy. I grew up in Billstedt and Mümmelmansberg and worked for more than 23 years as a medical assistant in Billstedt. So I know very well the needs and challenges that people living in these two neighbourhood are facing. I really enjoy working with people; I find it interesting and exciting, especially in multicultural neighbourhoods like Billstedt and Horn. All the more I am really looking forward to advising you and sharing my knowledge about the local offers in the two neighbourhoods. I come from Brazil but have been living in Hamburg since 2007 where I studied nursing and healthcare. I can speak Portuguese (my native language), German and English. I feel very proud of my colourful Brazilian heritage, but I can also easily identify myself with aspects of the German culture. What I enjoyed most while working as a nurse in the cardiology ward of a hospital was to work with different type of people. I would like to get to know you better. I am quiet but humorous and am looking forward to our discussions and counselling sessions! I was born in Russia but have been living in Germany since I was eleven. Therefore, I am familiar with both the “thick skin” of Russians and the punctuality of Germans. I studied prevention and health promotion and worked for the social services of a rehabilitation clinic. What do I find inspiring? Working with and for people. That’s why I am really looking forward to meeting you! 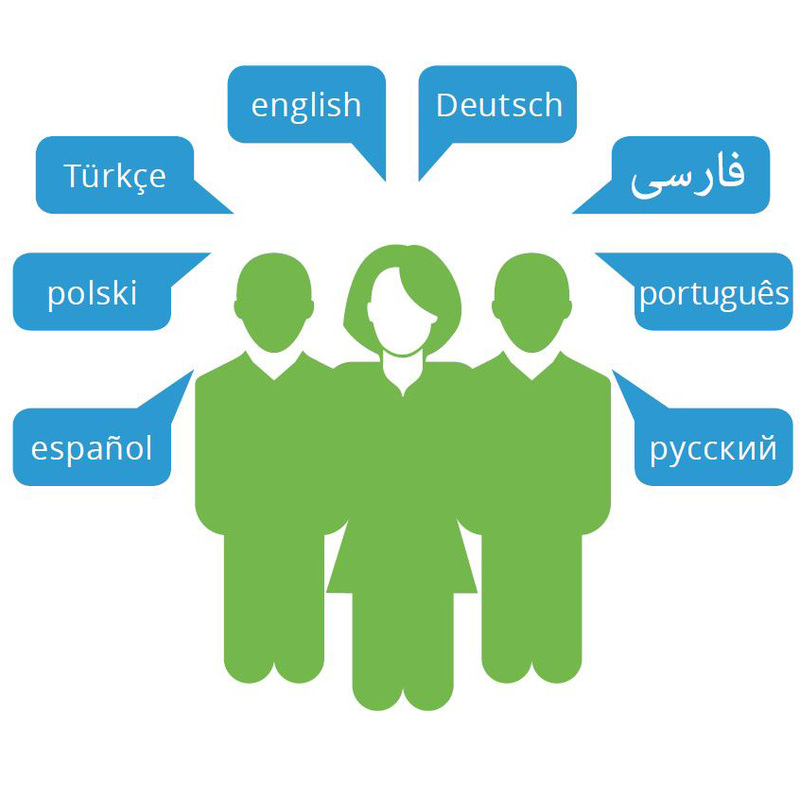 I have a Turkish migrant background, can speak both Turkish and German fluently and know very well the peculiarities of both cultures. While I was studying health sciences, I was also able to gain experience in prevention counselling and as a teacher for children with a foreign background. I am very empathic and know very well how difficult it is not being able to communicate in your mother tongue. That is why I am looking forward to meeting you and our discussions in both languages. I emigrated from Poland to Germany in 1989. I then settled in the multicultural city of Hamburg. I find it amazing! I worked for many years as a caregiver for Geriatrics and Gerontopsychiatry in different care settings in Hamburg. I find it particularly enriching to provide counselling to people with different cultural backgrounds. I have attended continuous education training courses, more recently in Case Management for health and senior care. Therefore, I am really looking forward to our counselling sessions, especially to the ones in my mother tongue (Polish).